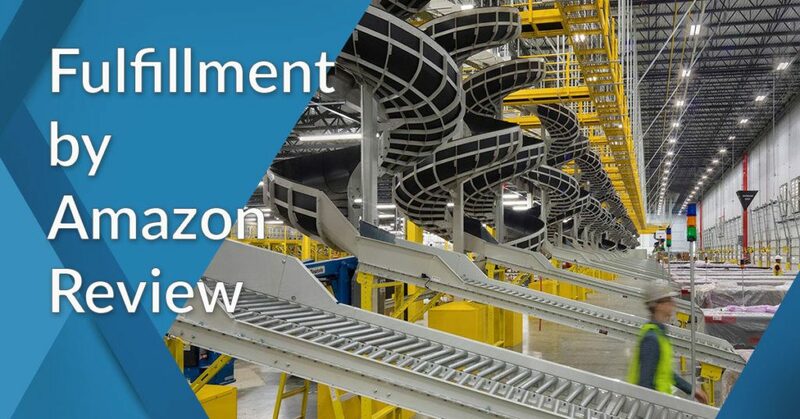 Fulfillment by Amazon is a service by Amazon where businesses sell their products using one of the world’s most advanced fulfillment networks. Commonly known as FBA allows practically anyone to sell their products or items on the Amazon platform. The service will store your items in any of Amazon’s numerous warehouses worldwide, supervise its handling and shipment to your customers, handle payments and refunds, and provide customer service. Surviving in today’s intense business environment entails taking full advantage of what innovative technologies and newer, more efficient approaches in bringing your products closer to your target consumers. One such efficient approach is offered by order fulfillment providers, who are third-party vendors that fulfill orders for other companies such as online sellers. eCommerce stores that do not possess warehouse and distribution facilities, as well as large brick-and-mortar companies that sell online, can use this service to reduce infrastructure and logistical costs as well as improve operational efficiency. In this article, we review one the leading order fulfillment services providers in this category – Fulfillment by Amazon – and take a look at the unique aspects of the service, its core features, benefits, and pricing structure. For an eCommerce undertaking, fulfillment is a big challenge and responsibility as it involves time-consuming and resource-intensive tasks from taking orders, packaging, processing payment to shipment and delivery. Not to mention the hassles of computing for sales taxes, complying with regulatory requirements, and handling refunds and returns. All that adds up to costs that you have to calculate and tuck into the price of your items. There are a thousand and one chores that you may not have time to handle. A fulfillment service takes care of those things. As a seller, you have your own duties and responsibilities but FBA takes much of the tasks from you, freeing you up to focus on marketing and promoting your products, and attracting traffic to your eCommerce site. Having FBA do the vital work affords you several advantages including faster processing, speedy delivery/shipping time, climate-controlled warehouses, and Amazon’s noted returns policy. Moreover, you gain greater market visibility and earn credibility with your customers. You boost your reputation as a merchant/seller when you leverage Amazon, a trusted and leading brand, into your eCommerce business. Those who sell small items – Since FBA fees are determined by the size and weight of items, among other factors, you have greater chances of realizing more profits from selling lighter and smaller items. Those who sell via multi-channels – Merchants who use various retail channels such as other eCommerce platforms or their own websites can benefit from FBA as the service can free up their time and allow customers payment and shipping choices. Those who already sell at Amazon – FBA is the next logical step if you are an existing Amazon seller as you can enjoy many perks such as becoming eligible to offer Prime shipping to your customers, being able to tap into Amazon Prime customers, and improving your odds of winning the Buy Box which can lead to increased sales. Amazon owns numerous fulfillment centers which are large warehouses in major cities and situated near airports. Each warehouse, which has the capacity to ship up to 1.5 million items per day, is manned by hundreds of employees who unpack and inspect incoming goods, store and record their location, sort and pack orders, and ship them. 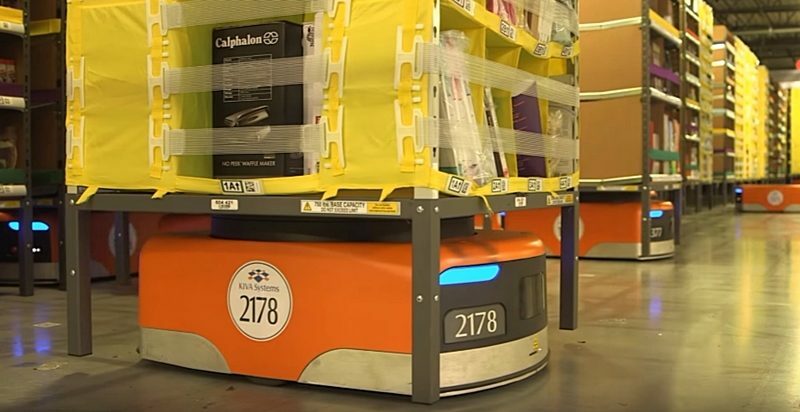 Over 200,000 employees are deployed in these centers, aided by 15,000 robots that “pick” items off storage shelves. As of December 2018, Amazon operates hundreds of distribution facilities across the United States, composed fulfillment centers, airport hubs, supplemental centers, delivery stations, return centers, outbound sortation centers, pantry/fresh food fulfillment centers, inbound sortation centers, whole food retail grocery distribution centers, and prime now hubs. Its global distribution network currently totals to 845 facilities, 385 of which are in the US, while the remaining 460 are strategically located in over 20 countries worldwide. For its North American operations, Amazon runs various types of fulfillment and distribution activities, including large sortable, 3PL outsourcing, returns processing, specialty small parts, footwear, and specialty apparel, large non-sortable, and large sortable. Fulfillment by Amazon reviews show that sellers using the FBA service get to tap this immense distribution network that makes possible not only product storage until such time a customer buys said product, but also Amazon’s renowned fast delivery of products to customers. You send your products to an Amazon fulfillment center nearest you. Amazon receives your inventory and stores them. You get to monitor your items through their tracking system. Customer orders items from Amazon.com or another eCommerce platform, or your own website (Amazon calls this multi-channel fulfillment). Amazon picks and packs sold items. Amazon ships items to customers via their preferred method and are given tracking information. Amazon provides return management for items as well as customer service. Shopify – FBA functionality is built in and uses an app for international shipment. BigCommerce – A web-based software with a PackageBee app to connect with FBA. 3dCart – A web-hosted platform that comes with an FBA app.  Magento 1 & 2 – A locally-installed shopping cart that connects with FBA through an app. The above are but some examples of eCommerce systems that work with FBA. The fact is that almost every other leading app and software for selling, ordering, accounting, customization, payment, product tracking, inventory, and reporting, among others, have partnered, integrated or are compatible with FBA to give merchants a comprehensive array of tools to drive their eCommerce business with the FBA service. Less work – It is obvious that a huge chunk of the work involved in your eCommerce business is transferred to the FBA. For instance, imagine running your eCommerce business with you as a one-man staff and your home serving as your office, warehouse, packaging area, shipment point, processing center, and more. Now consider outsourcing with FBA to take care of everything, leaving you with just your office to oversee your online business. Multi-channel fulfillment (MCF) – Amazon is not the only platform you can leverage FBA. The service also allows you to sell from your other sales channels like your own websites or other eCommerce platforms. 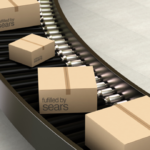 Handling fulfillment over different channels can be complicated and expensive. With FBA, you not only get to reach a wider market but also maintain consistency over your ordering and shipping process across your channels. Shipping rates discount – Customer purchasing decisions almost always factor in price and shipping speed. FBA items can be eligible for free shipping, putting them on the top of product listings with zero shipping costs. Prime members can also avail of Amazon Prime’s free Two-Day shipping on your items. Of course, when it comes to fast shipping and delivery, Amazon is well known for that. World-class customer service – FBA gives you access to Amazon’s distinguished customer service which is integral in the fulfillment process. Multi-lingual international customer support through phone or email is available 24/7, something you don’t have to worry about as it is part of the service. Likewise, Amazon’s Online Returns Center allows customers to easily return items if so needed. However, for this particular service, you will be charged with a returns processing fee. Customer experience – With many convenient options you can provide your customers such as assured and quick delivery, multiple shipping and payment choices, easy return policy, and quality customer service, you’ll be able to provide great customer experience, expand your customer base, and realize better profits. FBA fees vary and are determined by how heavy and how large your products are, and where you sell your products, either through your own website/third-party seller or via Amazon. For instance, when you sell a small one-lb. product through your own online store, you pay Amazon $5.95 for handling and shipping costs. But when you sell the same product on Amazon, you just pay $2.41 for the same services. Monthly Storage Fees – This covers the warehouse storage costs, which involves the computation of the space taken up by your items in cubic feet. Two primary size categories are used by FBA to determine the storage and fulfillment costs. These involve the types of packaging like retail packaging, blister packs, shoe boxes, etc. Standard-size items are products that weigh below 20 lbs. and sized 18″x 14″x 8″ and smaller, completely packed. This category has four subcategories, which also influence rates. Oversize items are those that weigh above 20 pounds and are bigger than 18″x 14″x 8” as packed. This also has four size subcategories that affect the rates. Using FBA and selling on Amazon has become a popular fulfillment option for many online sellers because of the numerous perks provided, especially the lower fees. Some of these fees are presented below. You can head out to the FBA pricing page to get more details and particulars. Standard-size items’ fulfillment fees per unit vary, e.g., small items (1 lb and below) = $2.41, large (1 lb and below) = $3.19, and large (more than 2 lbs) = $4.71 plus $0.38 per lb. Monthly inventory storage fees also vary, January to September = $0.64 per cubic foot, and October to December = $2.35 per cubic foot. Oversize items’ fulfillment fees per unit for small oversize = $8.13 plus $0.38 per lb for the first 2 lbs, medium oversize = $9.44 plus $0.38 for first 2 lbs, and special oversize = $137.32 plus $0.91 per lb for first 90 lbs. Monthly inventory storage fees are $0.43 per cubic foot for January to September, and $2.35 per cubic foot for October to December. Standard Shipping (3 to 5 business days): fulfillment fees for small standard-size items (1 lb and below) are $5.85 for 1 unit order, $3.35 for 3 units, and $2.20 for 5 units or more. Expedited Shipping (2 business days): fulfillment fees for large standard-size items (1 lb and below) are $8.30 for 1 unit order, $3.80 for 3 units, and $2.99 for 5 units or more. 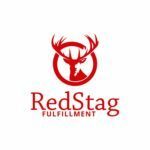 Priority Shipping (next day): fulfillment fees for small standard-size items (1 lb and below) are $12.80 for 1 unit order, $6.30 for 3 units, and $4.30 for 5 units or more. 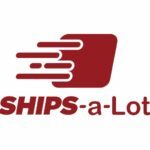 Standard Shipping (3 to 5 business days): fulfillment fees for small oversize items are $12.30 plus $0.39 per lb for the first 2 lbs for 1 unit order, $5.80 plus $0.39 per lb for the first 2 lbs for 3 units, and $3.80 plus $0.39 per lb for the first 2 lbs for 5 units. Expedited Shipping (2 business days): fulfillment fee for medium oversize is $16.80 plus $0.39 per lb for the first 2 lbs for any number of units. Priority Shipping (next day): fulfillment fee for special oversize is $143.30 plus $0.92 per lb beyond first 90 lbs any number of units. Oversize items include Special Handing Fees per shipment. Items stored for 6 months or longer require additional storage fees. Store rates vary by time of year and cost per cubic foot per month increases during the last quarter. Other fees can apply such as prep service fees or processing fees for customer returns in specific categories. You should take note that Amazon periodically announces various rate adjustments in advance to reflect the changing costs of long-term storage and monthly inventory storage, as well as allowing FBA customers to make ample preparations before they take effect. FBA users are also required to follow a number of packaging and planning requisites. For instance, you must use a unique Fulfillment Network Stock Keeping Unit (FNSKU) for each unit, which must match one unique product. Likewise, every unit must also have a readily accessible external scannable label or barcode. The following are some of the general requirements when shipping to Amazon fulfillment centers. Boxed units – Each box must have six sides and with a lid or opening that doesn’t open easily on its own. A box should be strong enough to withstand medium pressure. Case-packed products – The items in a box should have corresponding SKU. The manufacturer must have packed the said items together. All boxes with similar items must have the same quantities of that item per box. Marketing materials – Non-Amazon marketing materials will not be accepted, including price tags, pamphlets, and pre-priced labels. Expiration dates – Items that expire should have their corresponding expiration dates on the main carton printed in at least 36-points, for each unit. The correct formats to be used are either MM-YYYY or MM-DD-YYYY. Sold as set – Items that are sold as one unit per set should be labeled as sets, e.g., “Sold as set,” on their packaging. Loose products – Every unit, such as a multi-part book series, should be packaged inside one, secure package. Units in separate pieces that must still be assembled are not accepted by Amazon. Poly-bagged units – Poly bags utilized for securing units should follow several requirements, including the need for those with 5-inch openings (or larger) should have a suffocation warning. Safety – When packing products, you must use safety knives with covered blades to help avoid accidentally leaving such sharp objects in boxes and possibly cause injury to Amazon staff or customers. Plenty of fees – FBA comes with lots of different fees that are constantly changing (higher fees usually during the last quarter). There are storage fees, seller fees, inventory fees, order handling fees, weight-based fees, and pick and pack fees. And they have again restructured their rates and fees this 2018 which, according to Amazon, is meant to encourage merchants to move their products faster. These are plenty of stuff that you have to study since they can be confusing to novice sellers. Despite having all these fees, many have since grown their online business with the FBA. Comingling of items – If you’ve ever wondered how your item reached a customer halfway around the globe in two days, this system made it possible. The item your customer received may not be the actual item in your inventory. It may have the same, exact specifications and manufacturer, and was available in a fulfillment center in that part of the globe near to where your customer is located. Comingling is an option for FBA merchants and allows efficiency and speedy delivery. However, there have been reported lapses in quality control and inspection, and what arrived at the customer was a knockoff or defective item. The customer can easily have it returned and replaced, but you as the seller may get the brunt of customer complaints and negative reviews. Limited control – Since much of the bulk of fulfillment is out of your hands, so does your control over it. You may not even be able to do some brand promotion, simple things like putting in flyers or hand-outs in the box together with the shipped items which you can do if you’re shipping the items yourself. Another thing is that Amazon takes on dual roles – both as a service provider and a competitor, and you know what happens when you go against a giant. It would do you well to choose the items that will not put you head-on with those of Amazon’s. FBA may be the most popular and biggest of its kind, but it is not the only fulfillment service provider around. Below are some of the more notable FBA alternatives that you can consider. Shipwire – A cloud-based platform designed to assist companies in their shipping, storage and delivery requirements. It allows the combination of their warehouse networks or those of its clients to ship internationally and domestically for global order fulfillment. Its commerce solutions enable product supply to connect with retail demand through drop shipping and linking of major retail channels. 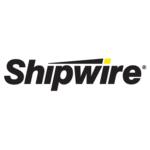 You can read our Shipwire review for more details and in-depth analysis. 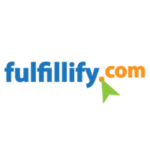 Fulfillrite – One of the order fulfillment services that provide fast delivery, seamless integration with major eCommerce platforms, and flexible per order pricing. It boasts of fast, simple and easy service such as same day receiving, no-long term contracts, quick set up process, real-time inventory tracking, and many more. eFulfillmentService – A family-owned company that positions itself as an affordable choice ideal for small eCommerce sellers since, among other service features, it has no setup fees or minimum order requirements. In addition, it doesn’t charge for long-term storage. The decision is yours to make. If you find FBA a bit complicated for your taste, you can look for other viable alternatives. But there is no denying that despite its stringent requirements and a host of fees, many merchants have been hooked by FBA, realizing increased revenues and acquiring more customers. With FBA, you harness the power of Amazon, currently the largest Internet-based retailer in the world by total sales and market capitalization. You’d definitely want someone of that size and stature on your side to help you grow your business. While it may seem that every other feature and service of FBA will cost you something by way of fees and charges, you may not realize that if you personally handle all the tasks and processes of fulfilling customer orders it may turn out to be more expensive, and definitely, consume more of your time. Moreover, you may not be able to guarantee shipping and delivery time or provide all-day and all-night customer support, or deal with the difficulty of reverse logistics for items returned. Those are just examples of a whole lot of things you have to manage yourself. Bottom line, you’d be hard-put to turn in a profit. If, however, you are ready to level up your selling, that is to really focus on your eCommerce business without the distractions that can bog you down, then FBA could be a good jump off point.